I know you all think I'm a bit addicted to changing bags (this is true) and you probably think I have too many (this is never possible). 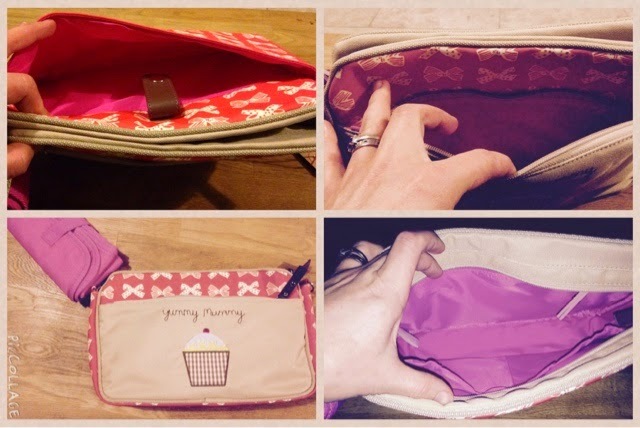 It's a lovely compact 27cm x 18cm and has a front zip pocket and back pouch, the back is the perfect size for your changing mat, which of course is included. There are two internal pouches and an internal zip pocket with a detachable shoulder strap it can be worn over shoulder, hung on the pram or as a clutch. I love that I can fit in wipes, nappies, phone, purse, keys and a cleverly rolled spare set of clothes for termite and we are set for a trip out! As with all the pink lining range the quality is amazing the embroidered motif on the front is perfectly finished and the whole bag is well made. I speak from experience when I say they take a beating and still come out on top! That's exactly why this mummy has her sight firmly set on some travel pieces from Pink Lining and top of my list is this gorgeous hold all. 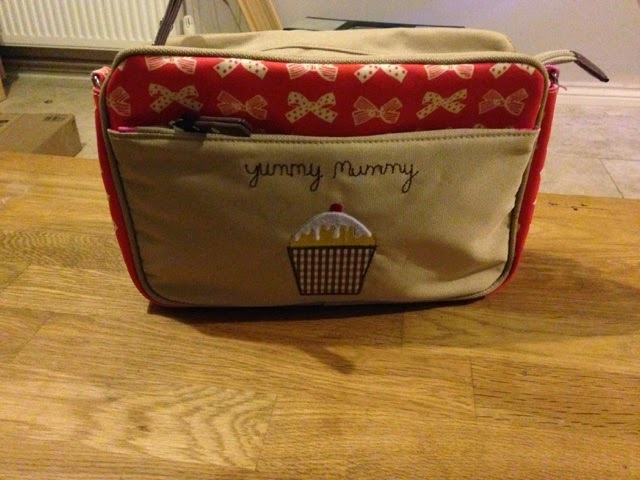 You can order your new bag here (just in time for Christmas hint hint anyone looking for gift inspiration) and you can connect with Pink Lining on Facebook or Twitter. I've just bought this and I love it. My daughter is 6 months old and I found that I wasn't carrying much in my regular size yummy mummy. I also have the mum on the run they are both the perfect size!